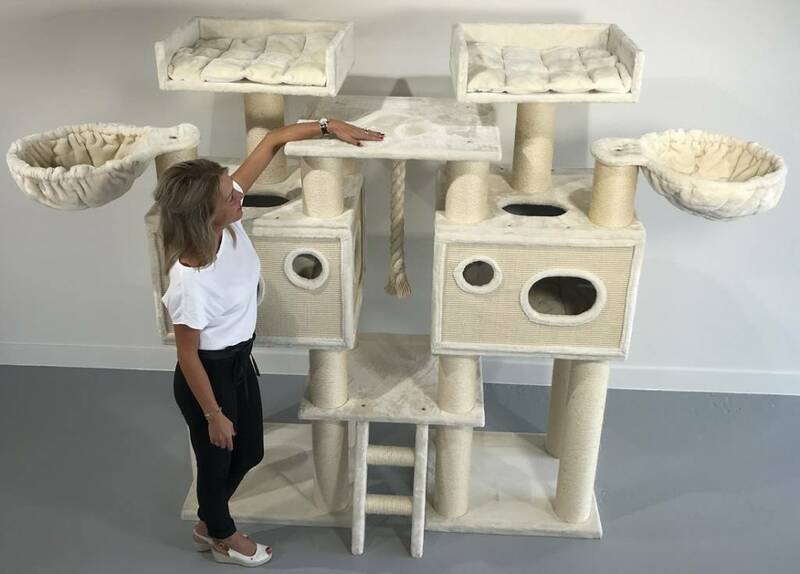 The scratching post Royal Cat Palace of RHRQuality is a paradise for cats that is very big and sturdy with 15cm thick sisalpoles and over 100KG total weight. 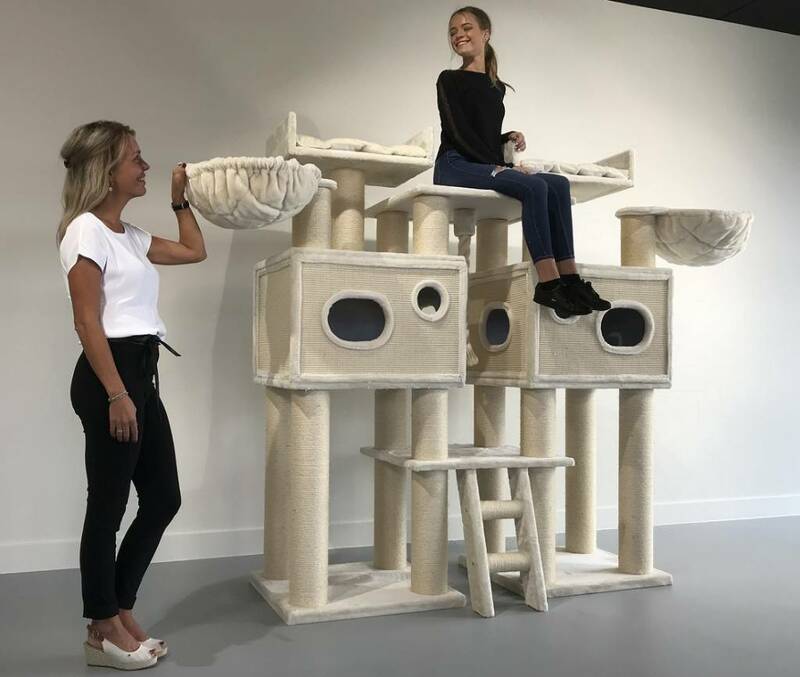 Also very suitable for large or heavy cats. 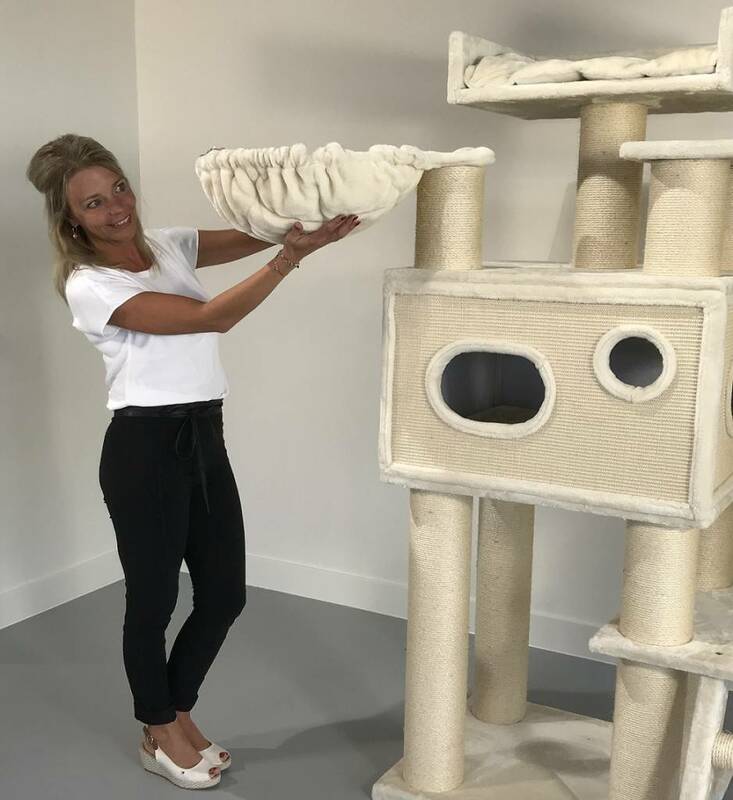 This scratching post offers plenty of scratch options to scratch out to the sisalpoles or the playhouses covered with sisal. 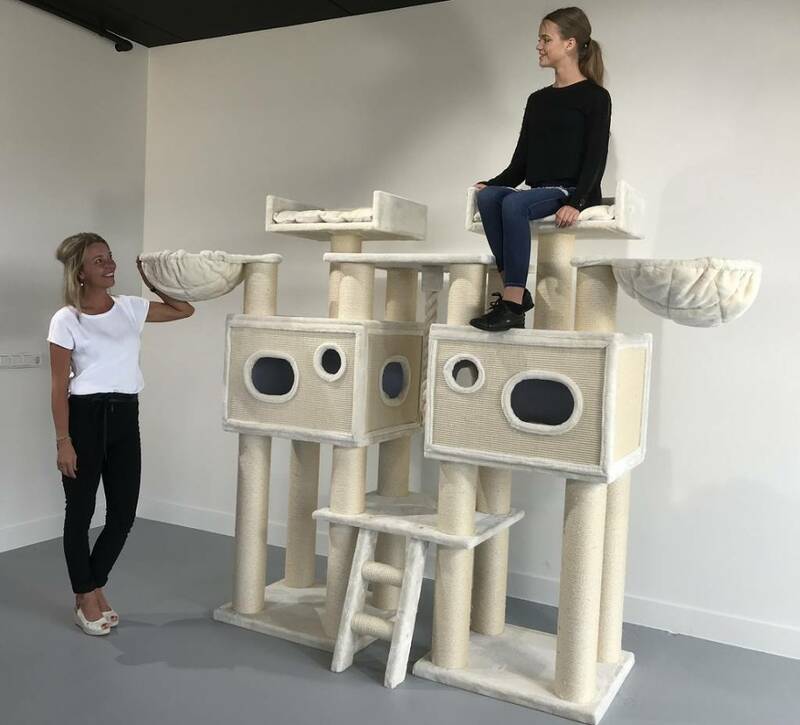 In the play houses there are wonderfully soft stitched cushions that are removable and you can also find them in the management seats on top. Here they are fastened with Velcro. The playhouses are B70xD61xH51 and have entrances and exits on the side, the front and the top. 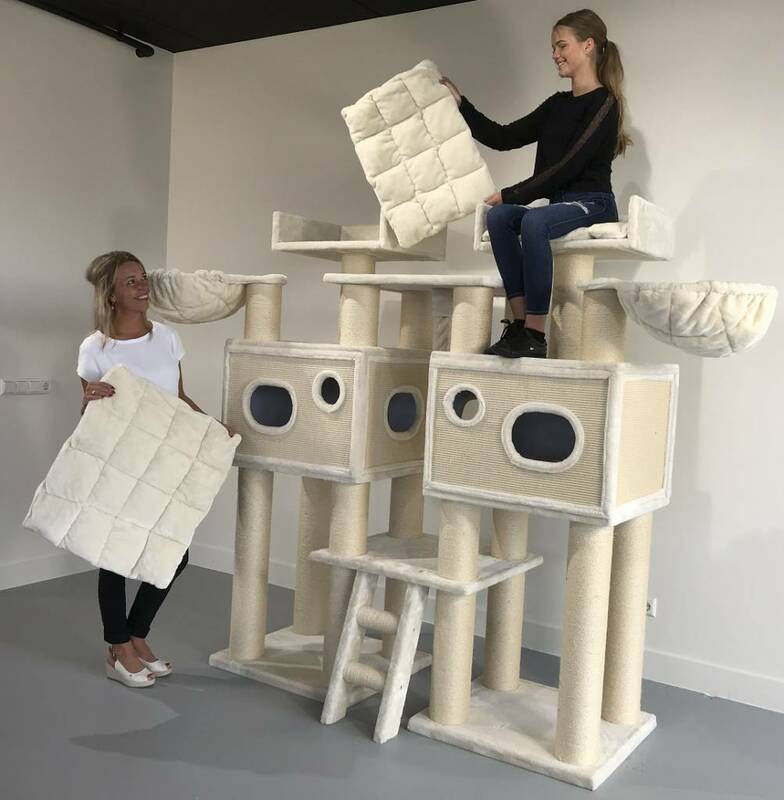 At the top you will find 2 large executive seats that are rotatable, of B60xD43xH15cm with a removable cushion, which is fixed on Velcro and a very large lyingplace of 70x60cm. - The removable cushions are stitched and therefore stay nice for much longer. 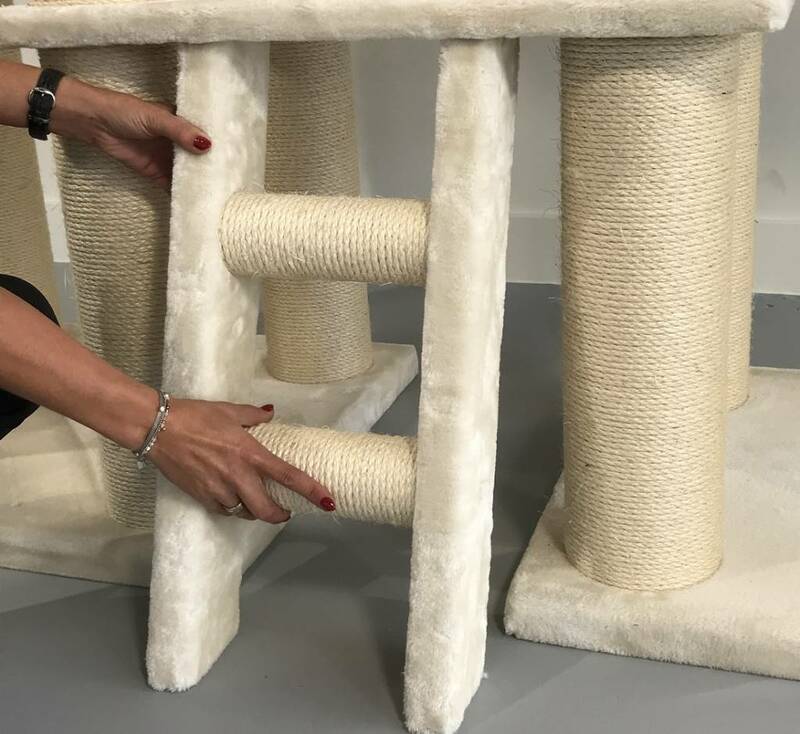 - This scratching post is more than 100KG total and mega sturdy. 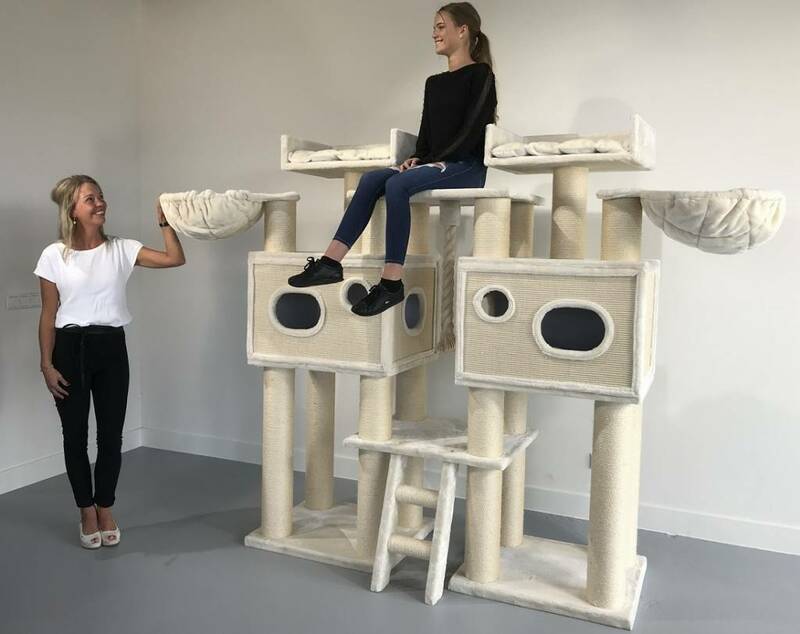 Falling or moving because your cats are playing is inconceivable. 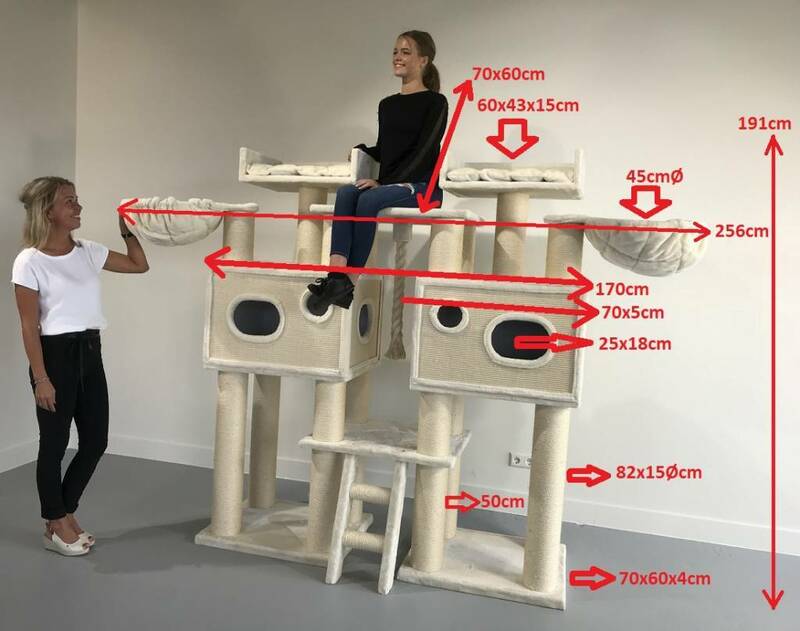 Required minimum: 170x60cm (without steps placed and with hammocks turned inwards). Playhouses: 70x61x51cm with removable cushion (2x). Covered outside with sisal cover. Holes front and side 25x18cm oval. Hammocks: Rotatable and 45cm lying area and tested up to 20kg carrying weight. New model 2018. Combination so hammock and pillow.